"It never rains, it pours," thus goes the saying. It seems to apply aptly to the state in which the BJP and NDA find themselves today. The setback in Rajasthan where the BJP lost both the Lok Sabha seats of Alwar and Ajmer and the Vidhan Sabha seat of Mandalgarh for which by-elections were held in January as well as the loss in the two assembly by-elections held in Madhya Pradesh in February was more than made up for when the BJP swept the assembly elections in Tripura and was able to form coalition governments in Nagaland and Meghalaya. The victory in Tripura was particularly stunning because the BJP, almost non-existent so far, was able to win 35 out of the 59 seats. It appeared as if the Ashwamedh Yagya horse of the BJP was unstoppable and it could conquer anyone anywhere. Despite some bickering, the NDA was also holding together and firmly. The by-elections for the two Lok Sabha seats in Uttar Pradesh and one in Bihar again changed the perception of the invincibility of the BJP suddenly and dramatically. After all, the Gorakhpur Lok Sabha seat had been with the BJP since 1989; it was also the seat of Yogi Adityanath who had given it up on becoming the Chief Minister of Uttar Pradesh. He had won the seat five times, last by a margin of 3,53,647 votes. The other seat, Phulpur, had been won in 2014 by Keshav Prasad Maurya by a margin of 3,08,308 in 2014. Maurya is now the Deputy Chief Minister of Uttar Pradesh. Nobody and absolutely nobody expected the BJP to lose Gorakhpur. There was some doubt about Phulpur - but even the most ardent supporter of the opposition was not prepared to predict the loss of Gorakhpur. Araria in Bihar had been won by Lalu Yadav's Rashtriya Janata Dal in 2014 and it succeeded in retaining it in the recent by-election. This three-nil loss in the Lok Sabha by-polls suddenly changed the perception of the people about the outcome of the Lok Sabha elections due in 2019. From a position of "no challenge to the BJP in 2019", the talk today is whether the BJP will be able to cross the 200 mark in the next Lok Sabha elections. This dramatic change in perception has naturally had its impact on the NDA coalition. 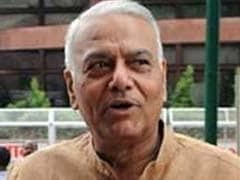 There is no doubt that the BJP treated its NDA partners shabbily. The BJP had won a majority of its own in 2014 Lok Sabha elections, yet it did not abandon its NDA partners after the election and magnanimously gave them a share in the union government. But it never forgot, not did it allow its allies to forget, that it had a majority of its own and that they were part of the government at its mercy. During the Vajpayee prime-ministership, allies were treated with due dignity and were heard and their point of view accommodated. Meetings with allies were held regularly and the BJP leadership reached out to them both collectively and individually. The BJP had contested the 2014 Lok Sabha elections in a pre-poll coalition of 29 parties, the more important partners being the Shiv Sena, the Republican Party of India (Athvale) in Maharashtra, the Akali Dal in Punjab, the Apna Dal in UP, the Lok Janshakti Party of Ram Vilas Paswan and the Rashtriya Lok Samata Party of Upendra Kushwaha in Bihar, the Telugu Desam Party in Andhra Pradesh. The JD(U) joined it subsequently after breaking its alliance with the RJD. 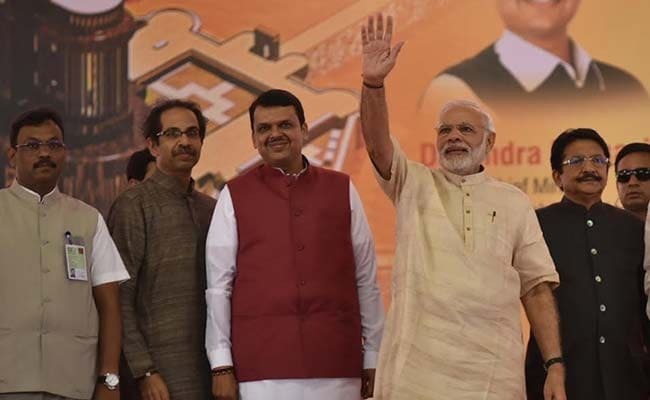 The Shiv Sena in Maharashtra has been uncomfortable with the BJP ever seen the two parties contested the assembly elections separately in 2014. They came together no doubt later to form a coalition government but the crack was always visible. In the media, the Shiv Sena plays the role of an opposition party both in Maharashtra as well as at the centre. Some of its statements are harsher than even the statements of BJP's arch opponents. But despite these differences, the two parties have held together both at the central and the state level. But for how long? The Sena has declared that it will not vote in favour of the government in case a no-confidence motion is taken up against it in the Lok Sabha. It appears that not only the Shiv Sena but all the other parties in the NDA are also unhappy with the way the BJP is treating them. 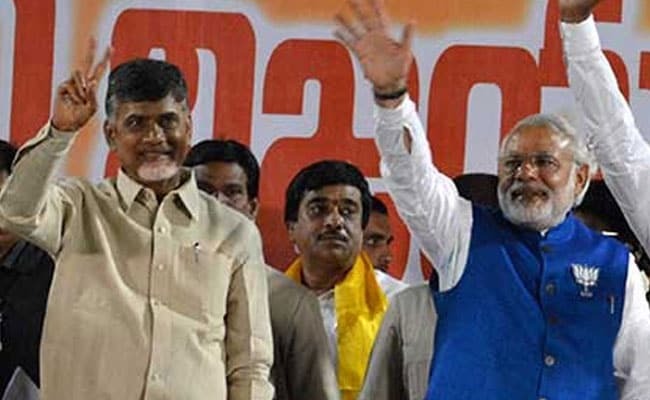 The TDP with 16 MPs first withdrew its ministers from the government and then not only quit the NDA but has also now moved a motion of no-confidence against the government. The Akali Dal in Punjab has repeatedly expressed its unhappiness. Jitan Ram Manjhi, who joined the NDA has moved to the UPA. The 3-MP party of Upendra Kushwaha is flirting with the RJD in Bihar. Even Ram Vilas Paswan, whom Lalu Prasad Yadav once described as the best "weather scientist" of Indian politics (he knows which way the wind is blowing), has started to sermonize to the BJP. Om Prakash Rajbhar of the Suheldev Bharatiya Samaj party, who is also a minister in the UP government, threatened not to vote for the BJP candidate in the Rajya Sabha election. Many others are also fidgety. Why is this happening? 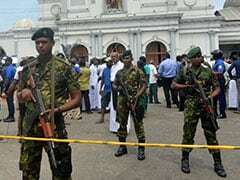 Why is the NDA unraveling? The reason is not far to seek. They all have sensed the mood of the people, which has decisively turned against the BJP. Instead of being an asset, the BJP may have become a liability of them. 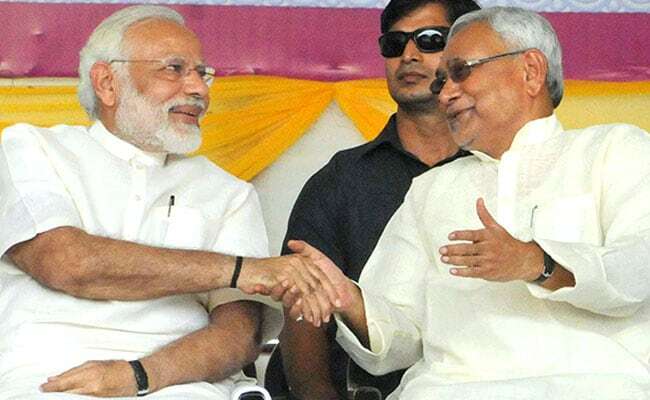 Nitish Kumar is the newest recruit to the NDA but his candidate suffered a crushing defeat at the hands of the RJD in the recently held assembly by-poll in Jehanabad in Bihar. The unraveling in the NDA is another sign of the changing times. 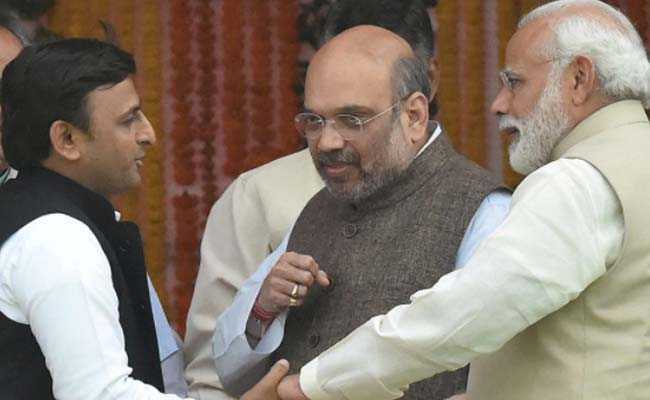 There is no doubt that the BJP will have some allies in the next Lok Sabha elections but the shape and size of that NDA is likely to be vastly different from its present shape.